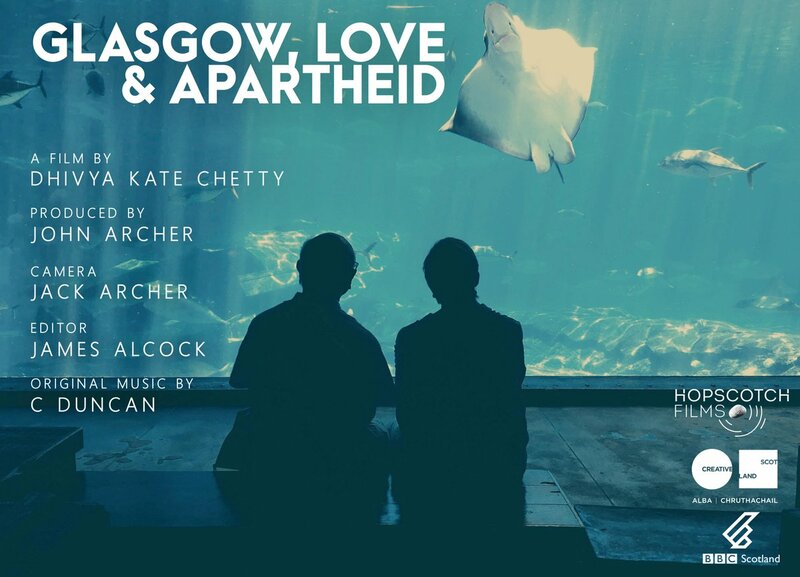 In the year of Nelson Mandela’s centenary, Glasgow, Love and Apartheid is the story of one family’s fight against apartheid from Scotland and South Africa. Director, Dhivya Kate Chetty, follows her parents – a mixed, and once ‘illegal’, couple – on a trip back to South Africa where the family stories begin to unfold – protests, an uncle in jail, an ANC arms cache, a doctor on the run and a surprise connection with Mandela in hiding. Illustrated with vivid super 8 shot by both grandfather and father, this intimate documentary is a tale of migration, resistance and reconciliation from South Africa to Scotland with love. This world premiere marks the 25th anniversary of Mandela’s historic visit to Glasgow. Screening as part of Black History Month. First Minister Nicola Sturgeon reflects on the amazing work and legacy of Dr Elsie Inglis and the Scottish Women’s Hospitals movement ahead of commemorations at St Giles Cathedral, Edinburgh on 29 November 2017. Qualifying in 1892, Scotswoman Dr Elsie Inglis was one of the country’s first female doctors. A solid supporter of the suffrage movement, when war broke out in 1914, she saw an opportunity for women to play their part and prove they could be as gifted and valuable as men. Three staff portraits produced for Isle of Arran Distillers. The suite of films was designed to bring whisky enthusiasts closer to their favourite brand and gain further insight into what makes the Arran Single Malt such a distinguishable product. In April and May 1917 more than 18,000 Scottish soldiers died at the Battle of Arras in Northern France. 100 years on, 72 students from across Scotland came together to remember. Working alongside SMARTS communicate we travelled with students (15-17 year olds) and teachers to Belgium and France to visit the battlefields of WW1. The aim of the trip was to commemorate the fallen and capture the students’ experience. WW100 Scotland aims to inform people about Scotland’s unique contribution to World War One and help them discover the effects of the war on their local communities and its lasting impact on life in Scotland today. The commemorations, which mark the 100th anniversary of the war, are a chance to remember the sacrifices made and reflect on what we can, and should, learn from the war which was meant to end all wars. An entertaining, provocative documentary in which director David Graham Scott puts himself in the firing line as he befriends big game hunter Guy Wallace. An unrepentant relic of the colonial era, Wallace has been a soldier, mercenary and tracker. He now lives in splendid isolation on the Caithness moors but has one remaining ambition – to return to Africa and kill a Cape Buffalo. Scott is vegan but accompanies Wallace in a film that explores the ethical issues around hunting and the unlikely bond that develops between two men. Following last year’s collaboration with SMARTS Communicate on the Scottish Government’s country roads campaign we’ve just completed a trilogy of hard-hitting films on the lasting trauma of fatal road accidents. British Lions and Scottish International Stuart Hogg remembers his best friend Richard, whilst Firefighter Iain McGarry and Paramedic Tanya Ellis share their haunting experiencs of attending at the scene. The target audience was young male drivers who account for three out of four fatalities on Scotland’s country roads. 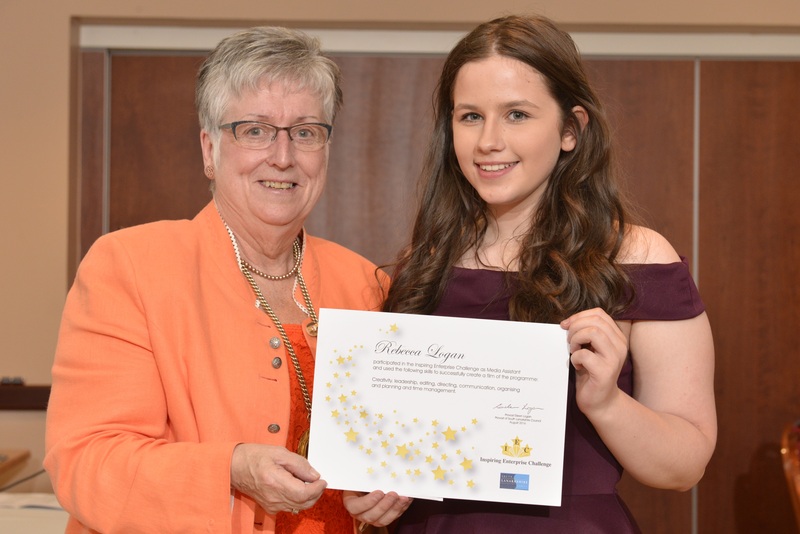 I had a fun couple of weeks working with young people from South Lanarkshire and mentoring future media star Rebecca as she filmed and edited a movie about their enterprise challenge. 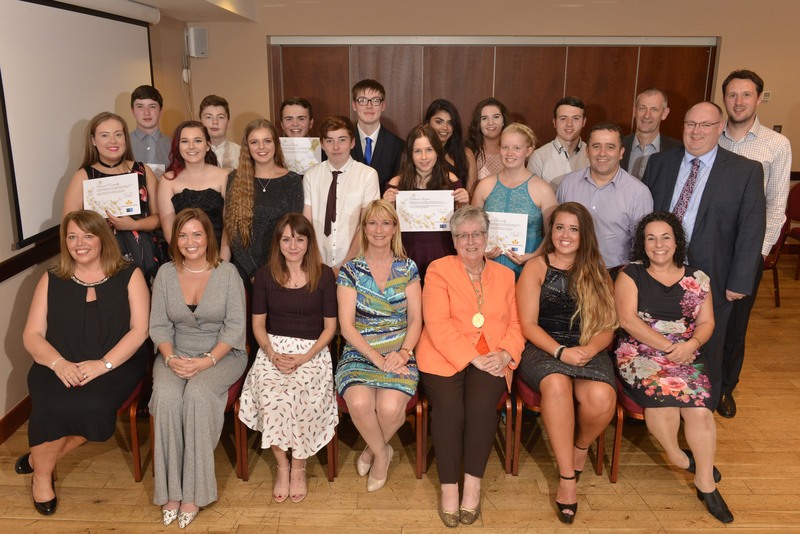 Sixteen students took part in the ‘Young Apprentice’ style challenge working at businesses including Border Biscuits, Coca Cola and Scottish Power. Yes, we actually watched the Dark Chocolate Gingers bake in front of our eyes. It was great to see a link between business and school as they applied their knowledge and skills to a real-life context. Beginning the fortnight as a bunch of shy teenagers and ending it as confident, inspired young adults was brilliant to see. Thanks to Helen Salt (Bright Yellow Thinking), Michael Kearns (UXL) and Eliot Jordan (South Lanarkshire Council). Watch Rebecca’s documentary below – shot and edited on an iPad! To whet the appetite in anticipation of our latest feature The End of the Game , here is the full version of The Dirty Digger. Directed by David Graham Scott and produced, filmed and co-edited by yours truly, it explores the dark and dangerous world of the Digger – an underground crime magazine electrifying Glasgow. Working as the paper’s court photographer, David joined vigilante editor James Cruickshank on his controversial campaign to rid the city of crime and corruption. The Dirty Digger is a 30-minute ‘Gonzo style’ documentary commissioned for BBC Scotland’s Storyline strand in 2007 and executive produced by David Peat. Special mention to the wonderful Chris Bowman who also co-edited. The last few months I’ve been editing a feature documentary by award-winning director David Graham Scott for Hopscotch Films. The End of the Game is a compelling character study of a bizarre eccentric undertaking his last big game hunt in Africa. 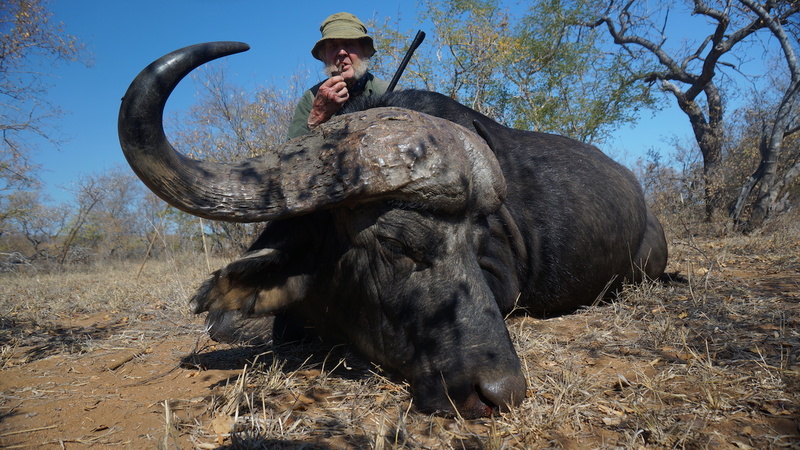 A committed vegan, David follows 73-year-old colonial relic Guy Wallace to South Africa as he fulfils a lifelong ambition to bag a cape buffalo. It’s Guy’s last chance to relive his glory days and finally lay down his guns. The oddball relationship between David and Guy is the central drive of the film as the director explores the ethics of big game hunting and questions his own animal rights stance when lured in by the thrill of the hunt. Guy is cut from the same mold as Molly Dineen’s central character in her 1987 classic Home from the Hill: a man out of time and out of place. Watch this space for more info.